A young girl of a proper family. Herr Papa, a Meister Locksmith, Frau Mama a Meister Hawkeye. But the curious artist across the street with his parade of models who bare themselves for his brush, will not be deterred. The perfect wife. Standing. Financial Means. A young artist of 25 deserves no less. His model. His muse. His soulmate. His matchmaker. While Adele and Edith cloak themselves in layers of social acceptability and tradition, he scours the lanes of Park Schönbrunn for Wallys willing to bare all for his brush. Wife. Not model. Wife. Not Muse. A proper lady. A proper life. A proper wife. Three years of marriage and a third is on the way. The wife, the unborn child must die. Three days later, he too. 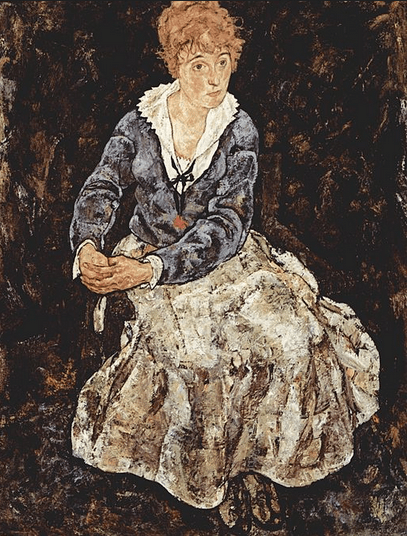 Exhibition: “Wally Neuzil and Her Life with Egon Schiele” – February 2 – June 1, 2015, Leopold Museum: http://www.leopoldmuseum.org/en – with info on Edith Harms. If you speak German, I highly recommend the Sunday tours at 3 pm. My guide this past Sunday was an expert on Turn of the Century Vienna, gave lots of fascinating details and background info. The tours are free if you have an entrance ticket. Just tell the information desk next to the ticket counter you’d like to go along. 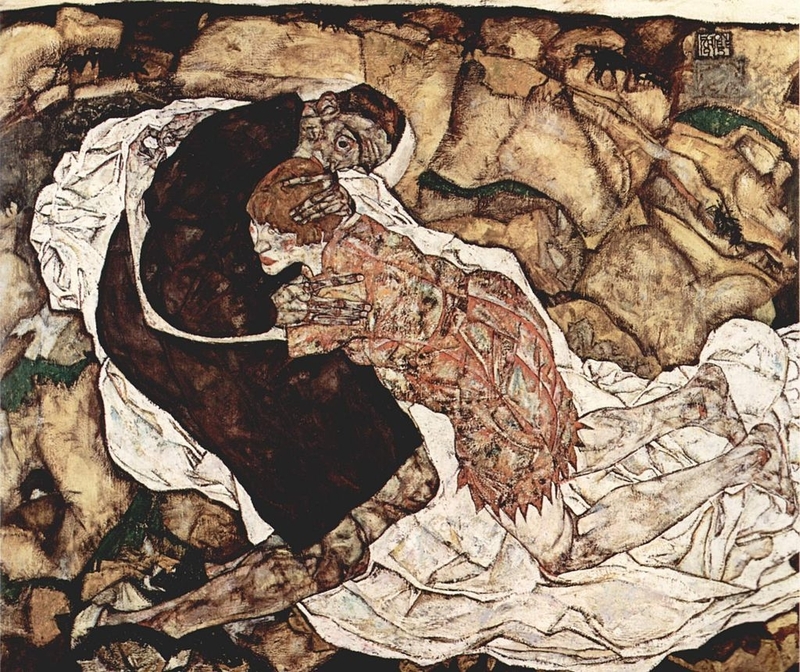 Also, there is an Audio Guide available (in English and German) and a book about Wally and Schiele (in German). “Declare today on January 8, 1913, that I am not in love with anyone in the world. Wally” (“Sage heute am 8. Jänner 1913, dass ich in niemanden auf der Welt verliebt bin. 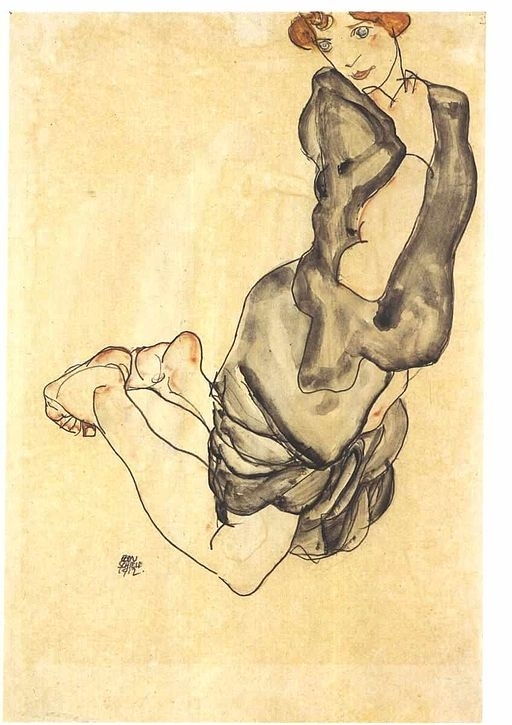 Wally.“) – written by Wally Neuzil in the 3rd sketch book of Egon Schiele, page 39, January 8, 1913. A young girl of 11 years loses her father. Frau Mama has no steady job and there are also the three younger sisters and Oma to consider. Three generations of ladies pack up their meager belongings and move to the big city. Maybe there’s more work and better luck there. School’s out of the question. After all she can read and write. The family needs to eat and a place to sleep. Over 16 registered addresses in six years. She finds odd jobs and by age 16, she becomes a model for a young artist named Egon. Not the most respectable work but Egon is kind of cute and pays better than most. He’s 21 years old. Long pronounced fingers stained in color and a somewhat sad face. Maybe it’s all who failed to understand him and his methods. The Gymnasium teachers. The professors at the art academy. But Klimt is encouraging. And Arthur Roessler supports his pursuit. His style? Provocative. Sensual. Revolutionary. Controversial. While proper ladies of society cloak themselves in layers of social acceptability and tradition, he scours the lanes of Park Schönbrunn to find those who will help him strip away the facade and bare all for his brush. Modern or Criminal? Let the judge decide. Captivity. Hope is orange. Love helps to overcome the darkest hours. Liberation. He paints. He paints her. How many portraits? Sketches? Alone. Together. Sitting. Lying. Standing. Open. Closed. On. Off. There yonder. Across the way. A proper family. Father, mother, two daughters. Church on Sunday. Lunch at noon. Curfews. Chaperones. A place for him in society. And for her? 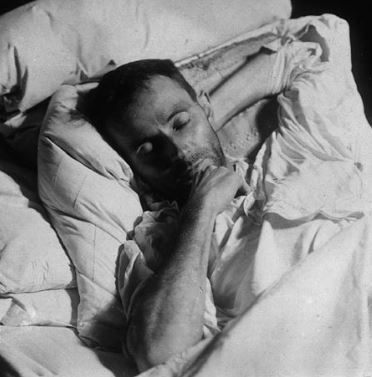 He pens a note to Roessler on February 16, 1915. His eyes only. Perhaps not Wally. Perhaps not Wally? Perhaps not Wally! And to whom does he suggest to rendezvous each year for a week – most advantageously? A war is raging. Nurses are needed. An opportunity. To work. To eat. To leave. Him. Vienna. For good. A century passes. She perseveres. Forever young, forever seductively liberated and united with her artist – not for an annual rendezvous of love and debauchery – but for an eternity in the soul of his works. 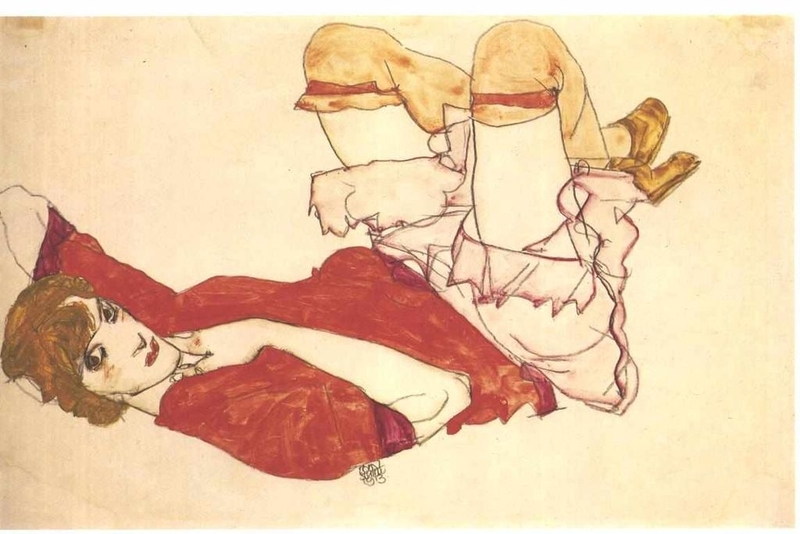 Exhibition: “Wally Neuzil and Her Life with Egon Schiele” – February 2 – June 1, 2015, Leopold Museum: http://www.leopoldmuseum.org/en. 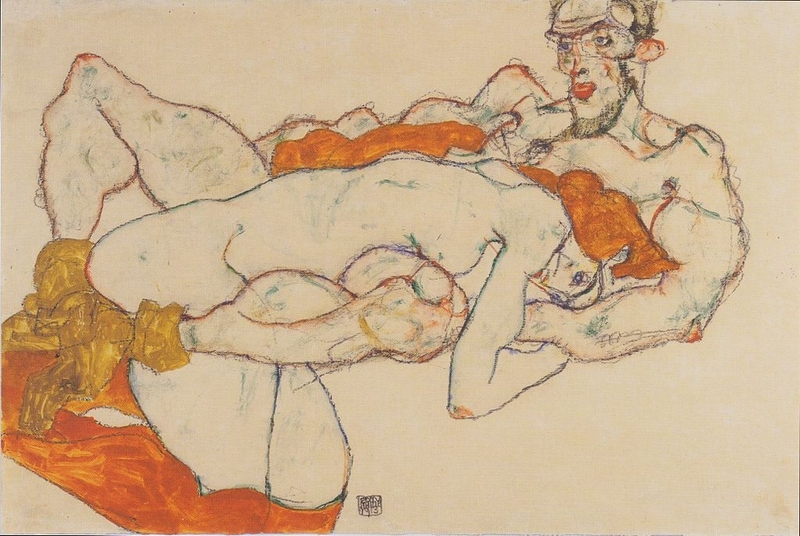 Read more on Egon Schiele on the artsy.net Schiele page.